Welcome to the inaugural edition of the C-Level Spotlight Transportation Report. 1. With transportation being 50% of my supply chain costs, why are freight costs going up? 2. Why are we having a hard time finding capacity to move our freight? 3. 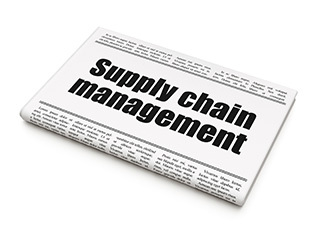 Does my does my supply chain network design fit with today’s demands? There are those who would like to believe that 2014 was an aberration. Whether it was weather-related disruptions in the first quarter that led to tight capacity, higher costs and longer delivery cycles, the strong economic growth that caused capacity to remain tight, or the labor disruptions that led to massive delays at the west coast ports, many companies saw at least 5-7% increases (or more) in their freight costs. This meant unfavorable variances and blown freight budgets. 2014 was not an aberration! In 2015 and beyond, companies can expect higher freight costs unless they take proactive steps to address the cost drivers in their transportation equation. Each year, we talk to hundreds of transportation and logistics professionals, and they have consistently cited two challenges in addressing and attacking these cost drivers. First, they need corporate wide support, starting with their C-Level Executives, in order to look at sales, procurement, and operational practices that affect freight costs. The second, and larger, challenge is to provide C-Level Executives with a rudimentary understanding of key transportation issues so that they will pr­­ovide that support. We have launched TranzAct’s C-Level Transportation Spotlight to address these challenges. TranzAct has the best network in the business, and we are committed to using that network to provide you a “Cliff’s Notes” version of important information of transportation issues affecting your corporate transportation costs. To that end, TranzAct’s C-Level Spotlight will provide timely, relevant and “forward focused” information to help you develop effective strategies to manage your transportation costs. Your time is valuable, so we have created a thumbnail format that highlights the most important supply chain issues of the day. Simply click on a thumbnail for the expanded article. We welcome your feedback on how we can make these C-Level Spotlights even more valuable. Send any questions or comments to solutions@tranzact.com. We look forward to hearing from you!